Letchworth Village rests on a placid corner of rural Thiells, a hamlet west of Haverstraw set amid the gentle hills and vales of the surrounding Ramapos. 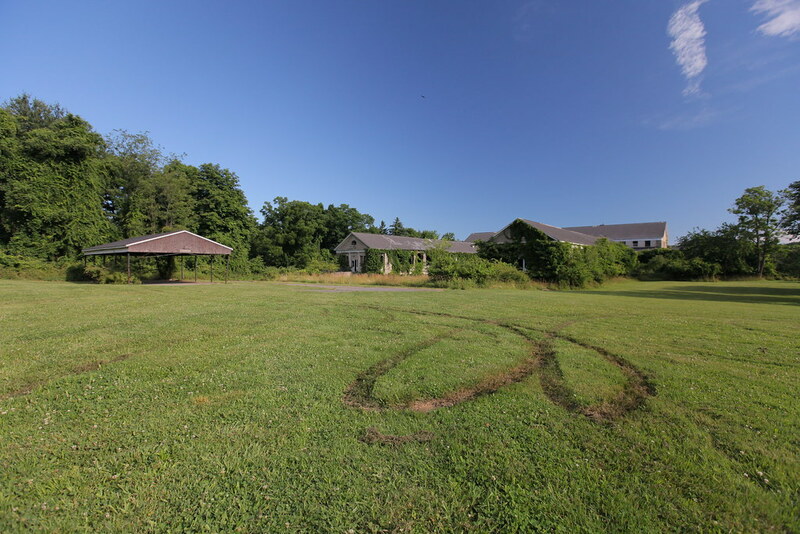 A short stretch of modest farmhouses separates this former home for the mentally disabled from the serene Harriman State Park, New York’s second largest. 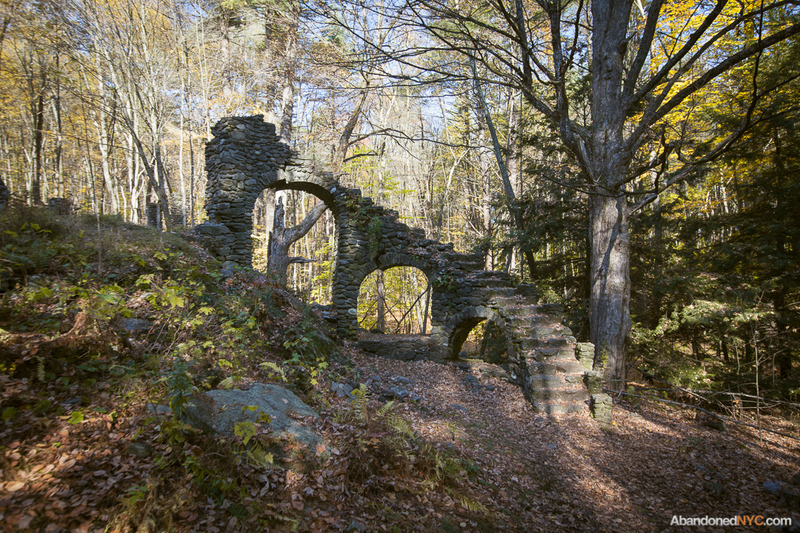 Nature has been quick to reclaim its dominion over these unhallowed grounds, shrouding an unpleasant memory in a thick green veil. Abandonment becomes this “village of secrets,” intended from its inception to be unseen, forgotten, and silent as the tomb. 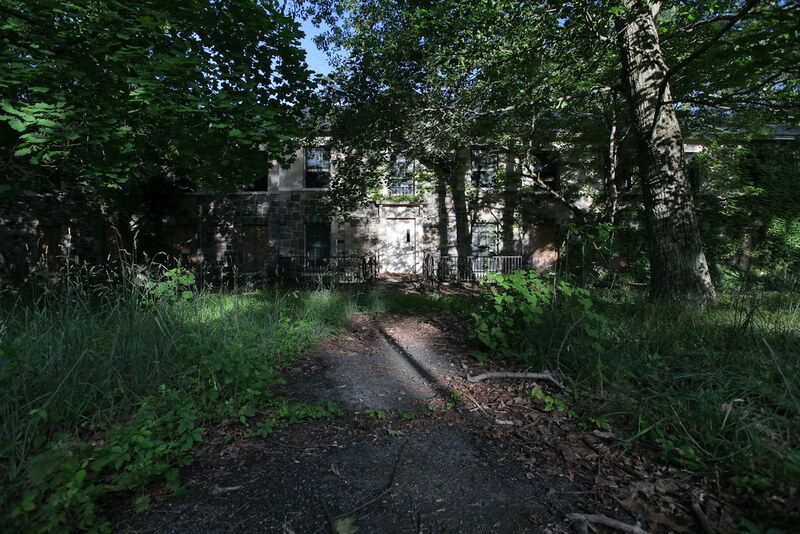 Owing to its reputed paranormal eccentricities, Letchworth Village has become a well-known subject of local legend. These strange tales had me spooked as I turned the corner onto Letchworth Village Road after a suspenseful two-hour drive from Brooklyn. 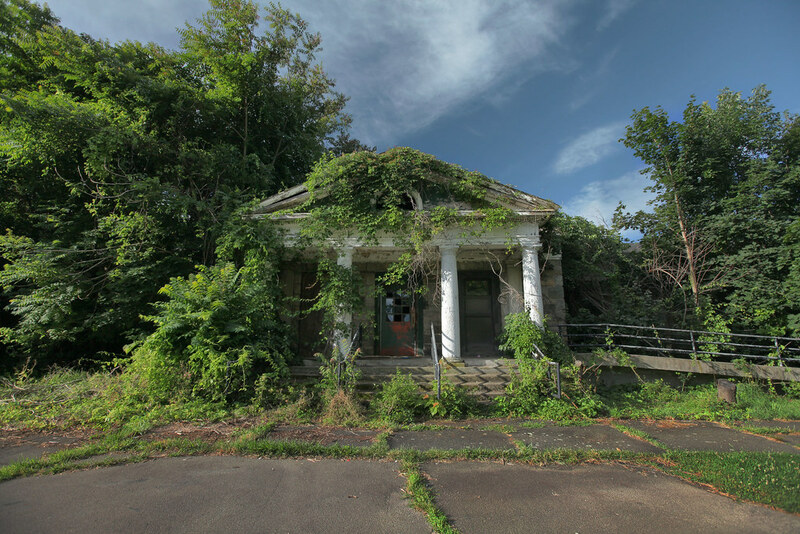 Rounding a declining bend, I caught my first glimpse of Letchworth’s sprawling decay—some vine-encumbered ruin made momentarily visible through a stand of oak. Down the hazy horseshoe lanes of the boy’s ward, one by one, the ghosts came out. This map gives a sense of scale. Most of these buildings still stand, altered or abandoned. 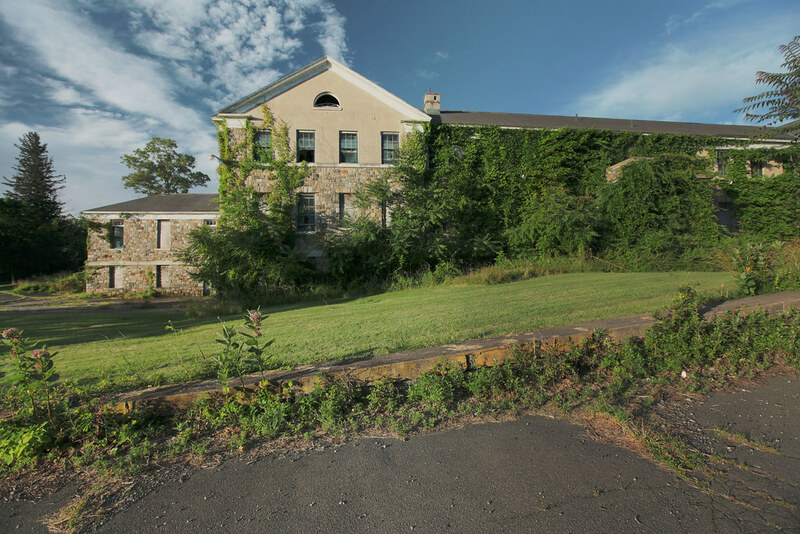 By the end of 1911, the first phase of construction had completed on this 2,362 acre “state institution for the segregation of the epileptic and feeble-minded.” With architecture modeled after Monticello, the picturesque community was lauded as a model institution for the treatment of the developmentally disabled, a humane alternative to high-rise asylums, having been founded on several guiding principles that were revolutionary at the time. The Minnisceongo Creek cuts the grounds in two, delineating areas for the two sexes which were meant never to mingle. 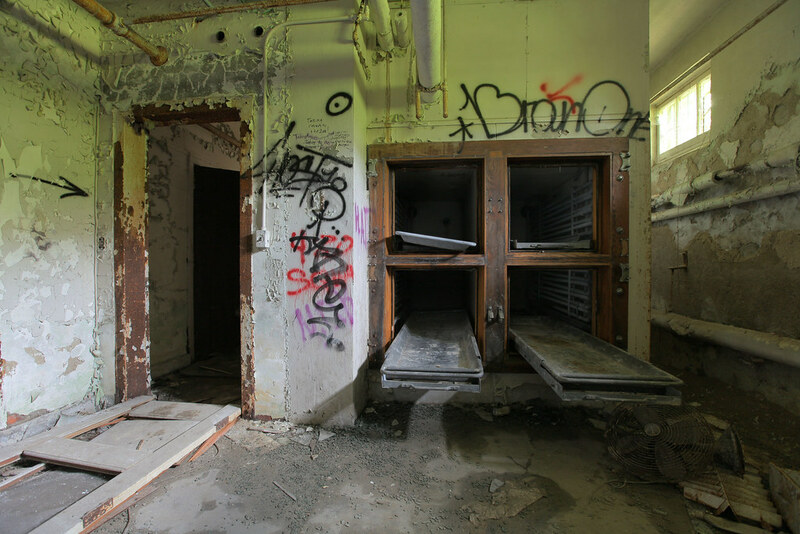 Separate living and training facilities for children, able-bodied adults, and the infirm were not to exceed two stories or house over 70 inmates. Until the 1960s, the able-bodied labored on communal farms, raising enough food and livestock to feed the entire population. 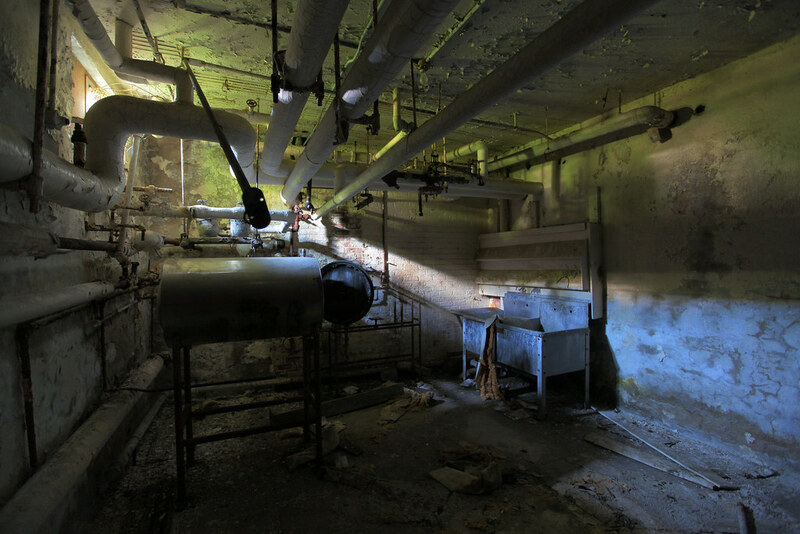 Sinister by today’s standards, the “laboratory purpose” was another essential tenet of the Letchworth plan. Unable to give or deny consent, many children became unwitting test subjects—in 1950, the institution gained notoriety as the site of one of the first human trials of a still-experimental polio vaccine. Brain specimens were harvested from deceased residents and stored in jars of formaldehyde, put on display in the hospital lab. This horrific practice has become a favorite anecdote of ghost-hunters and adolescent explorers. The well-intentioned plans for Letchworth Village didn’t hold up in practice, and by 1942, the population had swelled to twice its intended occupancy. 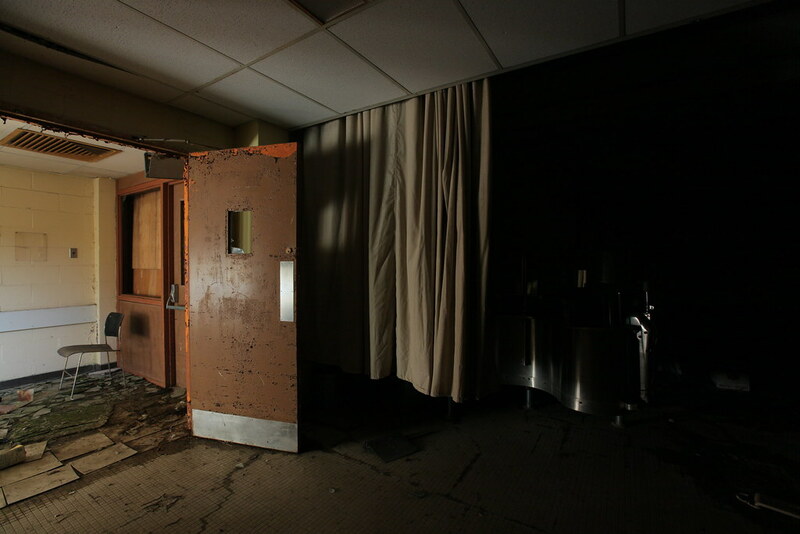 From here, the severely underfunded facility fell into a lengthy decline. Many of the residents, whose condition necessitated ample time and attention for feeding, became seriously ill or malnourished as a result of overcrowding. 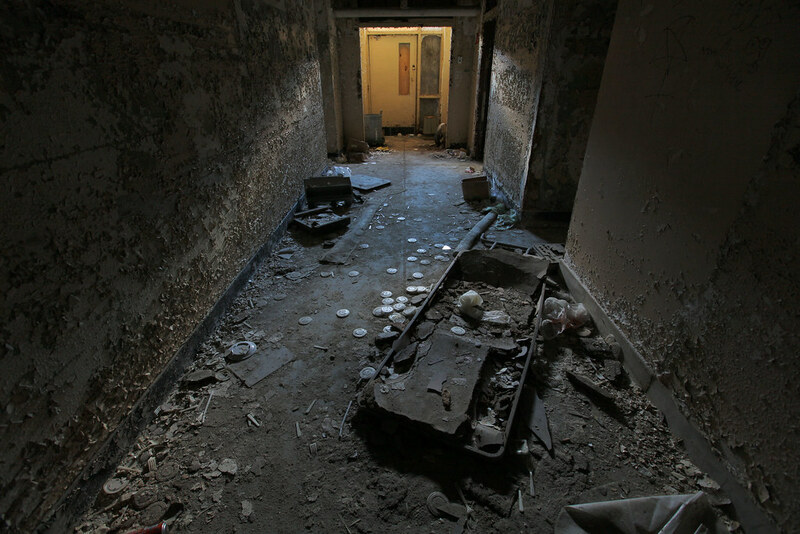 At one point, over 500 patients slept on mattresses in hallways and dayrooms of the facility, meagerly attended by a completely overwhelmed staff tasked with the impossible. 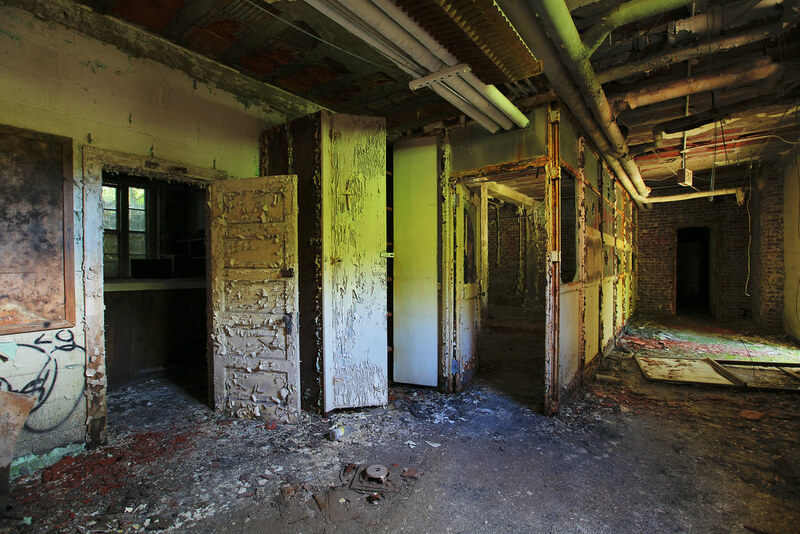 Having discontinued the use of the majority of its structures, and relocated most of its charges into group homes, the institution closed down in 1996 as old methods of segregating the developmentally disabled were replaced with a trend toward normalization and inclusion into society. The state has made efforts to sell the property, with mixed results. Most of the dilapidated structures were slated for demolition in 2004 to make way for a 450-unit condo development, but the plan has evidently been put on hold. Ringed with ballfields and parking lots, shiny Fieldstone Middle School makes use of nine buildings of the former girl’s group, an island of promise in a landscape of failure. 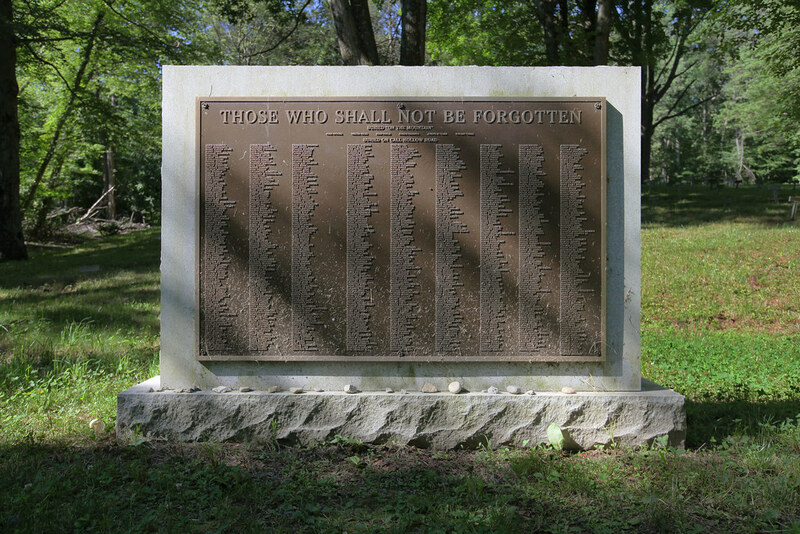 Off Call Hollow Road, a new sign has been erected pointing out the “Old Letchworth Village Cemetery.” Down a seldom-traveled path, an unusual crop of T-shaped markers congregate on a dappled clearing. They’re graves, but they bear no names. Few wished to remember their “defective” relatives, or have their family names inscribed in such a dishonorable cemetery—many family secrets are buried among these 900 deceased. Here, in the presence of so many human lives devalued, displaced, and forgotten, the sorrow of Letchworth Village is keenly felt. Each of the six groups of buildings included eight small dormitories. 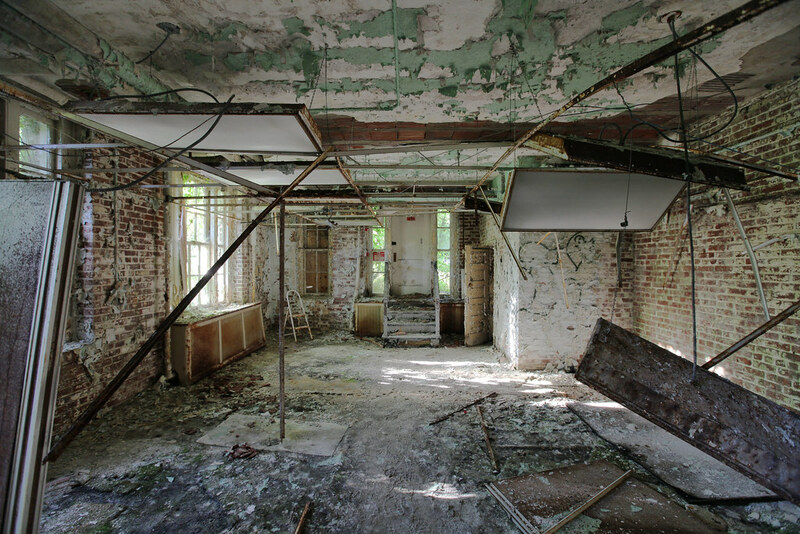 The hospital, north of the boy’s group, is known as Letchworth Village’s most haunted building. Evidence of last night’s joyride on the hospital lawn. A dayroom library fueled the flames of an arson attempt. A small basement nook of unknown purpose, this was the only door of its kind. 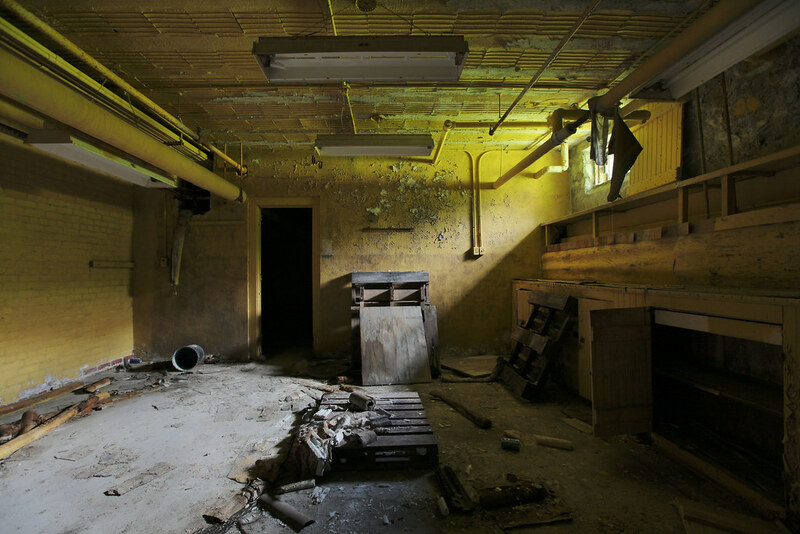 A storage area in the basement of Letchworth Village. 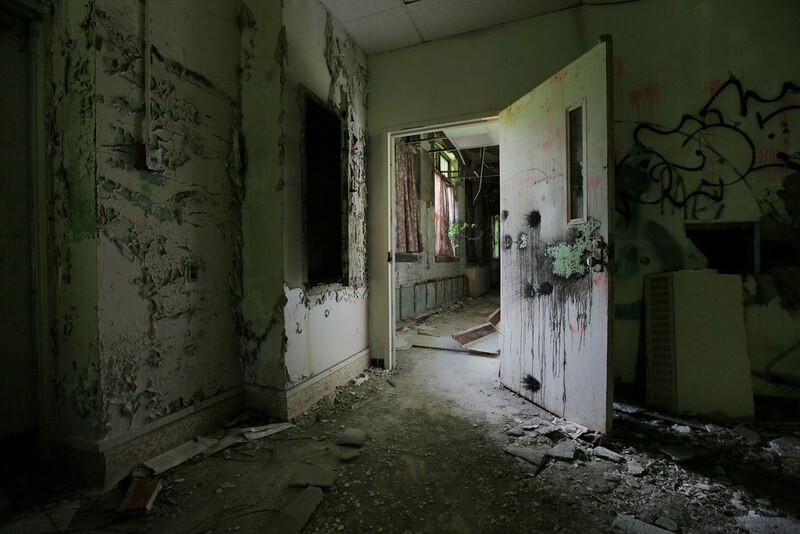 An adjacent room was filled with hospital plasticware, some overflowed into this darkened hallway. 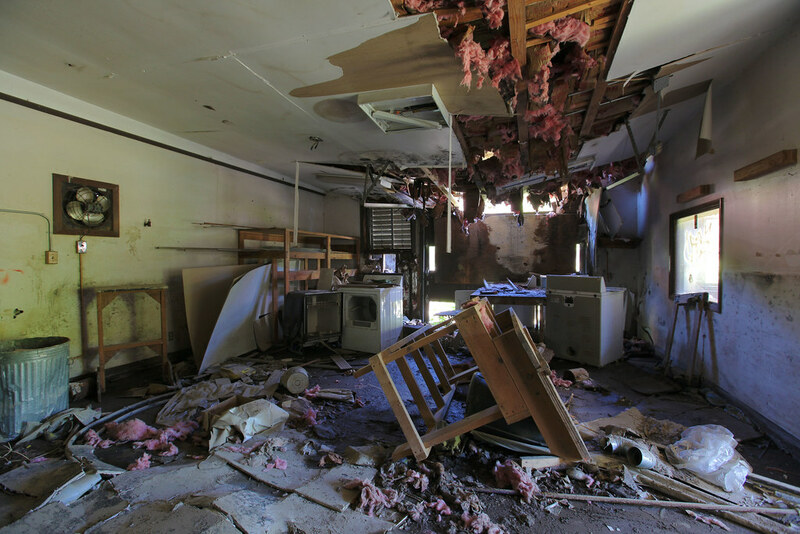 A renegade paintball game left a gruesome mark on this room. Cold storage. 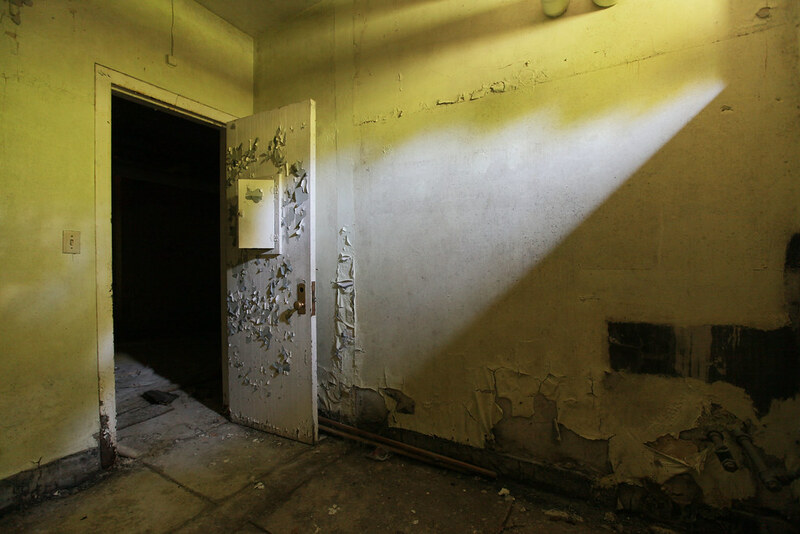 The first room I came across in Letchworth Village, a morbid introduction. Moments after taking this photo, a group of young explorers entered through a side door. I gave them quite a scare. 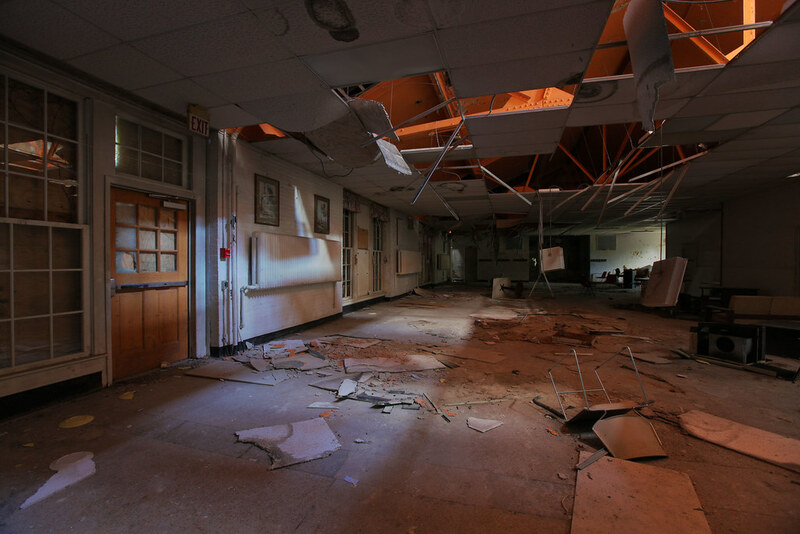 A dining hall is brought to light as its ceiling crumbles. The top floor of Stewart Hall has been thoroughly razed, but the bottom remains mostly intact. Fire damage visible on the lower floor. A strange camera malfunction lasted the entire time I was in this building and stopped the moment I stepped out. It’s the closest I came to a paranormal experience. 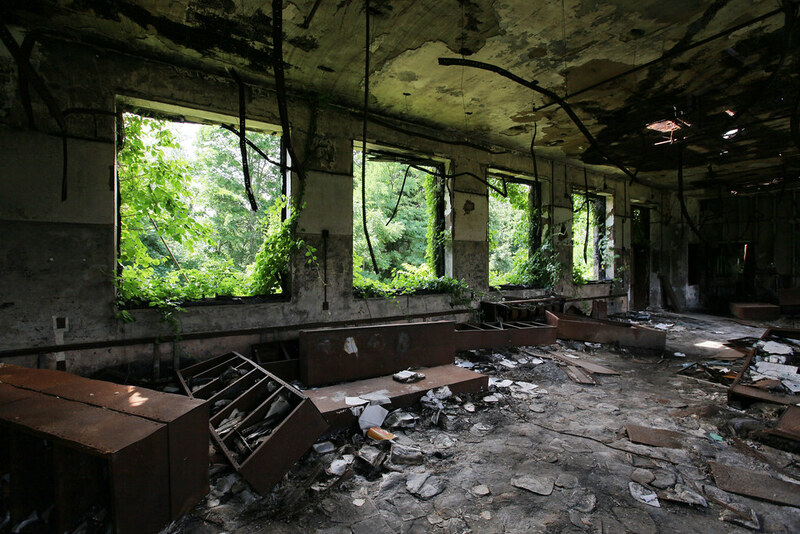 Many of the cheaply made service buildings were in a similar state. Even in broad daylight, the place is eerie. Here, an ominous administration building. Better late than never, a monument to Letchworth’s dead.